It’s a funny thing about Hodgkins Lymphoma. The first time you’re diagnosed the odds of beating it are solid, 80% – 90%. But if you relapse, the scale begins to tip quickly in the other direction. Relapse treatments are much more aggressive. Around Christmas of 2009, Melissa relapsed. 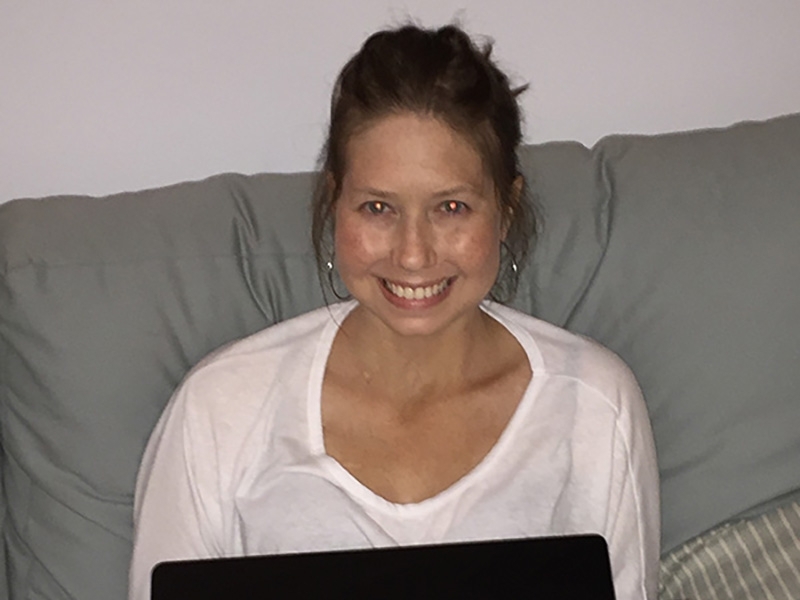 Her new fight included aggressive chemo, high-dose radiation, and stem cell transplants. Melissa told me “I lost my hair in just 13 days. I tried so hard to fight but it took a toll so quickly. 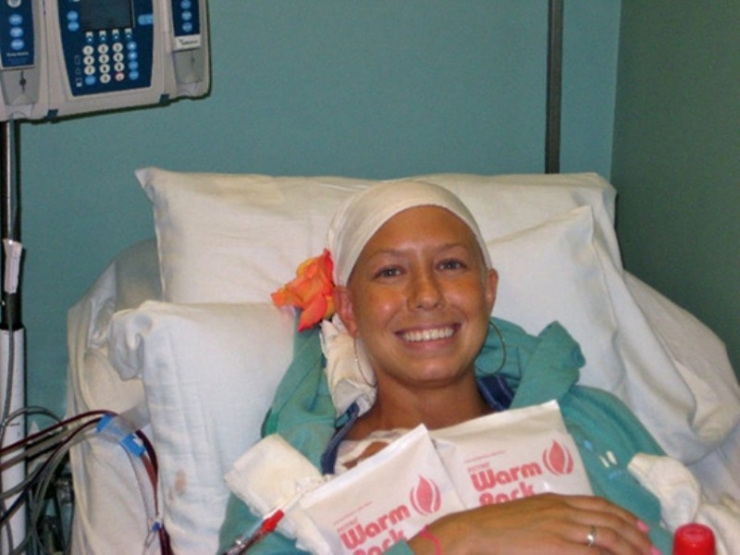 I had several catheters put in my arm and neck to make the chemo easier on my veins. I was in so much pain.” And the pain was just beginning. This is the part where Melissa’s story should end. It’s the part where I tell you that in 2011 she was back at the gym, back at her job, and her hair was growing again. Boys thought her short bob was cute and her strength and confidence was returning. She got accepted to her favorite nursing school. It’s the part where Melissa got to breathe again and put the last 6 miserable years of her life solidly in the rear view mirror. A few days later, her right leg went numb. Four spinal taps revealed nothing. But an MRI proved Melissa had something called Transverse Myelitis. She’d never heard of it but was told it was an extremely rare neurological disease in which your immune system attacks your spinal cord. In very rare cases it can be triggered by high doses of chemotherapy, a malicious side effect of the treatment that was meant to save her. High doses of steroids were administered to fight the disease. Often times, this does the trick and the symptoms slowly abate. But the tingling sensation persisted. The tingling turned to pain, the pain turned into a burning sensation, and the burning sensation turned into…nothing. 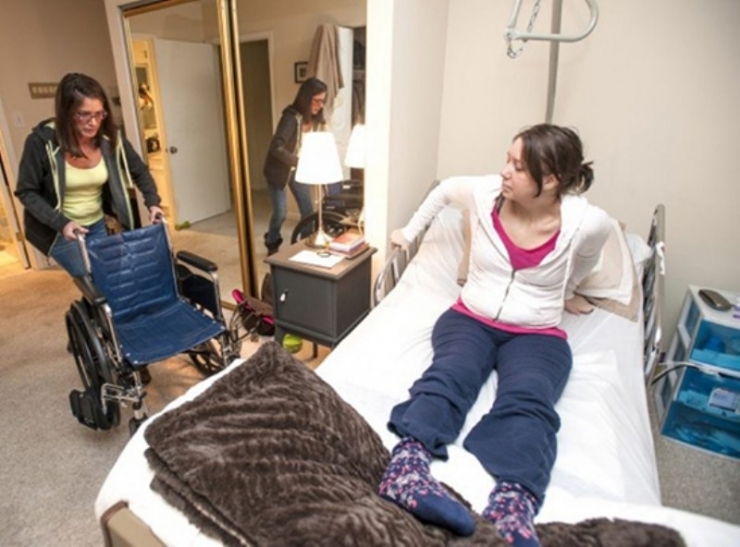 Within 3 weeks, Melissa was entirely paralyzed from the waist down. Melissa’s mother would become her caretaker, bathing and feeding her. Her family helped however they could, working long hours to assuage the massive medical bills. Insurance denied Melissa a standing frame and a functional electrical stimulation (FES) bike and allowed her only 30 physical therapy visits/year. Melissa was kicked out of nursing school due to limited mobility. A cold and silent January descended on Melissa’s 3rd story apartment. Now only a spectator to life outside her window, Melissa sank into deep depression. 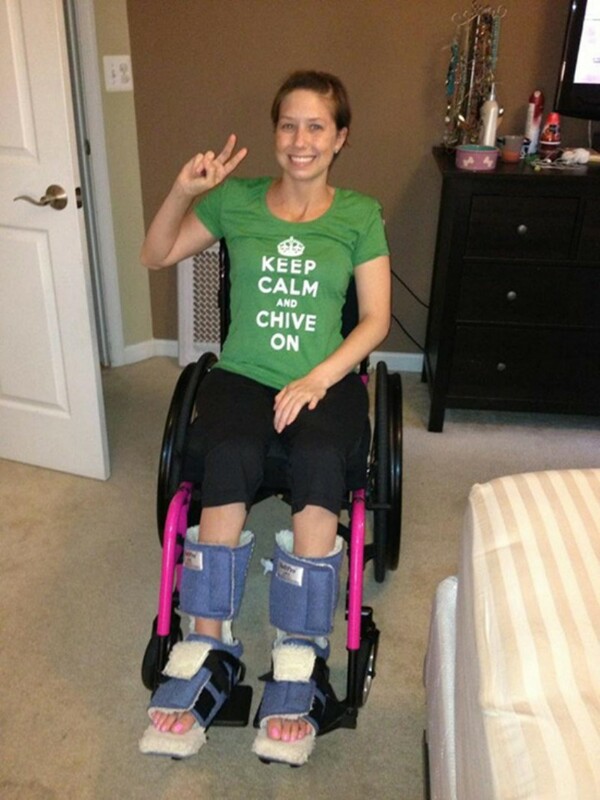 On March 4th, 2013 Melissa’s sister, Stephanie submitted an application to Chive Charities on behalf of her sister. We receive hundreds of applications every week but something about her application caught our eye. On the application there is available space to ‘explain a little more about your cause’ if you feel inclined. 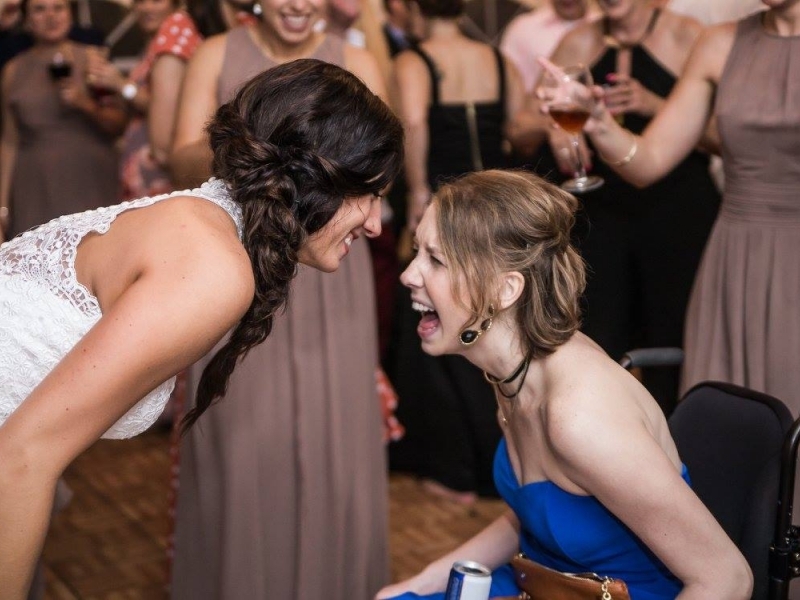 Two weeks ago, Melissa was told her paralysis was irreversible. She would never walk again. To add insult to serious injury she was back in the hospital with a UT infection that had spread to her intestines. Melissa spent most of September back in the hospital. 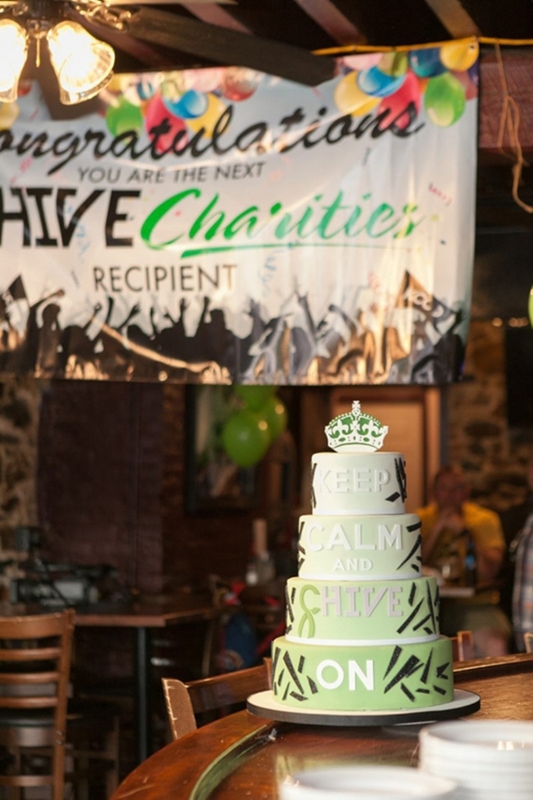 What Melissa didn’t know was that theCHIVE Fund was going to make a significant donation – $50,000. 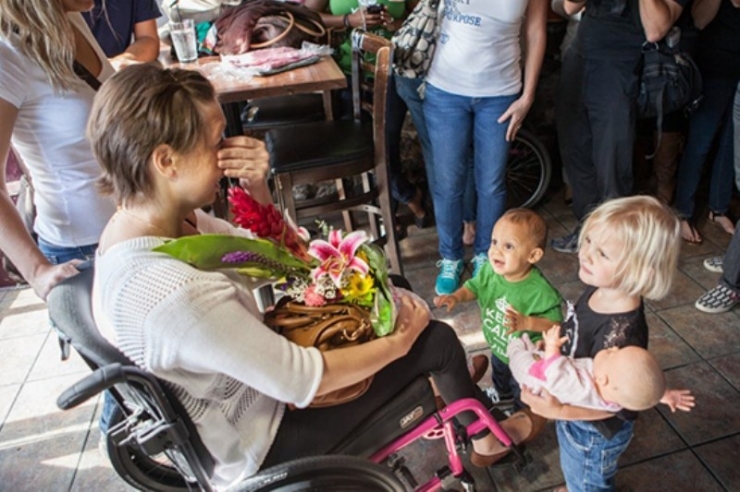 But more than the money, all of us at Chive Charities wanted to give her a hug. This girl hadn’t received an ounce of good news in years and we wanted to deliver the good news in person. We wanted to bring all her friends and family together too – to let Melissa know how much she’s loved. We all wanted to see Melissa smile. We got plane tickets to Annapolis to surprise Melissa and arranged a surprise party for her at her favorite restaurant. 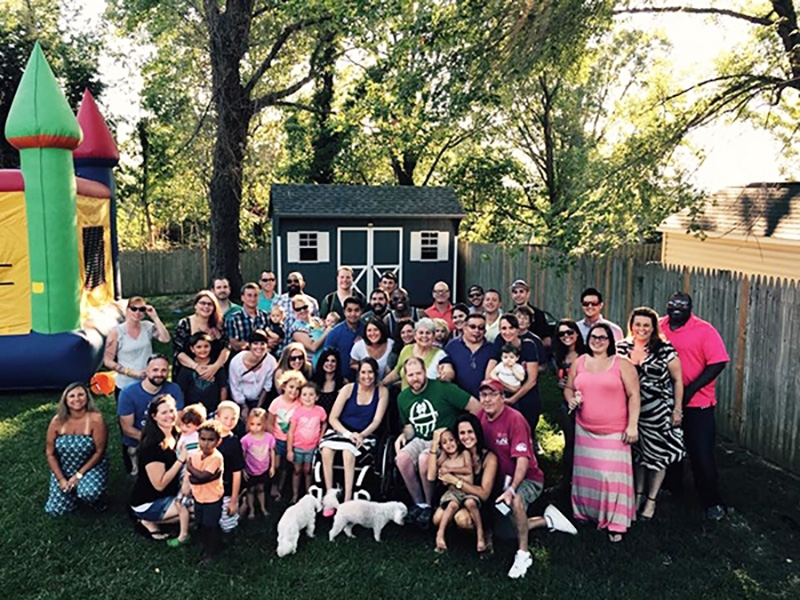 We invited all her close friends and family…. Describing the exhilaration of that moment isn’t possible. I’ll defer to the photos below. It dawned on me halfway through our conversation that $50,000 would be amazing patchwork for Melissa, but nothing more. I felt like I had come to duct tape her life together for a couple years. And then what? What would become of her? We were going to need the Chivers’ help for this. But the girl I found in a small restaurant in Annapolis is still smiling despite the pain, still clinging to hope, still believing that someone somewhere will help. Help is here now. Every day I think of meeting Melissa. I can’t help but think of a girl, newly paralyzed, stranded on the 3rd story of her apartment, watching the seasons change outside her window as the world passes by. I can’t imagine how lonely that must have been. And as the threads unraveled on the last of her hope, exposing a raw and fragile soul, Melissa braces herself for another blow. As the fist bears down again, we can all rise up to stop it. No more, this girl’s had enough. The cavalry has arrived. Melissa remembers dates more accurately than the average person. I noticed that speaking to her. Cancer treatment schedules will do that. Marking the time is a part of her now. Today is October 9th, 2013. It’s will be the day Melissa’s life changes forever. How much it changes will be dictated now by millions of Chivers across the country.